Shifting roses - when is the best time? 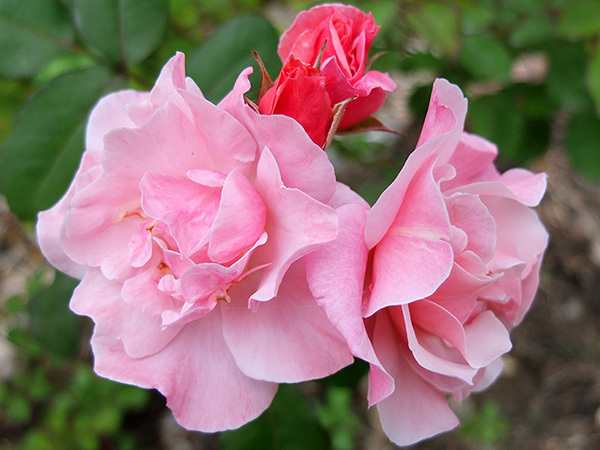 When is it sensible to dig up a rose and plant it elsewhere in the garden? Can you really shift a rose in high summer? Aha! Best not to listen to my advice. I'm rather naughty - I shift roses any time I remember to. But who really shifts roses in mid-summer? Me? Well, maybe me, potentially me, if I have the nerve. Because I only notice my poorly located, struggling roses in mid-summer, when there's maximum shade and much greenery. Oops. But I try to only shift when it's absolutely necessary. 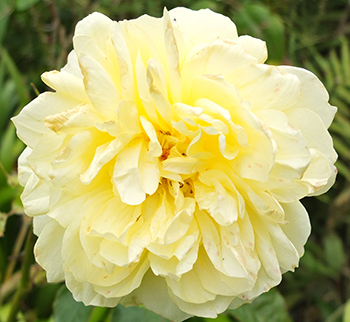 There are some sad rose souls in Hen-House Garden, including Monsieur Tillier, Agnes, other unknown rugosas, and a species white. On one of the hottest days of summer I went in there with the wheelbarrow and shovel, full of purpose, to dig them all out. But it's always best to think before one digs. Some of the roses had enormous canes. Perhaps they could be happy staying here after all? So I trimmed the lower branches of the overhead Oak tree to create more light for them. A nice compromise. Later that week I was cleaning up in the Shrubbery, the inappropriate location (over ten years ago) for a gaggle of recycled old-fashioned roses. Some have been rescued and shifted into better locations. Some have disappeared (oops) and just a few have struggled on. A timely rose rescue! I found a sad - bourbon? - hidden underneath a sprawling Phormium, and a pretty rugosa called Fimbriata further along, with just one surviving sprouting stem. No time for thinking. I dug them out, pruned them madly, and dumped them into a water bucket. The next day was slightly cooler, but I was warming up. 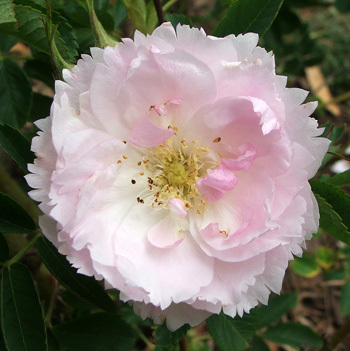 In a flurry of spades, shovels, watering hoses and potting mix, I dug Clair Matin and a coral Flower Carpet rose out of the Driveway Garden. 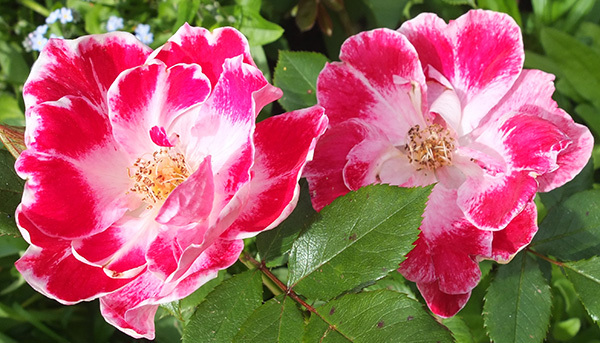 Both had been sulking underneath the Viburnum hedge, and were slowly being smothered by Potato vine - no life for two pretty roses. I zoomed over the other side of the house and found another Clair Matin. It was so shaded the rose could hardly summon up the energy to climb. Poor darling! Aha! Growing in confidence, I checked out various other dry, shady gardens, and gathered up a host more : two white Icebergs, an unknown yellow (possibly yellow Charles Austin), a pale apricot (again a David Austin), the unusual painted rose called Old Master, and several others, names and even colours unknown. I planted them all in the sunny, open, uncrowded Hump Garden, with lashings of potting mix underneath, compost on top, and water. I crossed my fingers, and promised to water them every day. Well, well, well. That wasn't so risky, was it? I kept up the watering, and every rose has settled in and sprouted. Some like Clair Matin are even autumn-flowering madly. Just goes to show. Boss your roses round, but give them what they like best, and they'll thank you for it. Phew!